This is an excellent memoir covering a turbulent period of time for men and women in religious orders in America and probably other countries as well. The story is more about what religious life in the convent was like before and after Vatican II than it is about a lesbian in a convent. The first two-thirds of the book does not go into sexual activity at all, but more into the loneliness of a girl in her early teens who enters a place where warm personal interactions are pretty much prohibited. We get a look at all of this through her young eyes. After Vatican II there are huge changes in religious life in the convent and the author takes us through them from personal experience. I found this fascinating. The writing is not done with sensationalism in mind, even though the title might lead us to expect that. We are simply told what happens in ways that let us know the depth of feeling that she experienced without getting into detail. I thought this was handled very well for someone who is not a polished author. The story is told in chronological order in short chapters and clear language. It is a memoir and not a titillating romance. Outstanding. An interesting and inspiring memoir. I was very interested in reading about what was happening post Vatican II in the convents. I was a young Catholic school girl in the late 60's and early 70's and in awe of the nuns and we were intimidated by them too. We knew things were changing but certainly didn't understand anything that was occurring, other than the sisters were leaving. This was an excellent look at what was going on during that time of change in the Church. A very human, and emotional look at the sacrifices that were made by the sisters and the journey to rediscover self. I've really been wanting to read a memoir by a nun, and stumbled on this one. It was awesome! 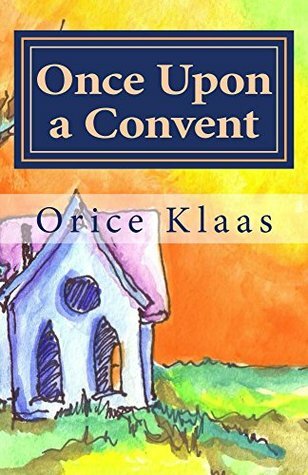 Klaas entered the convent at a young age but has excellent recall and descriptions of her experiences. I do wish she'd gone more into her experiences after leaving the convent, but that was probably a space consideration. There were a few editing errors (I got the impression this book is self-published?) but they're mostly small and easy to overlook in favor of the fascinating content.